College basketball player Mike Lewis II has orchestrated several comebacks for the Duquesne Dukes this season, but it was a 30-second video on his Twitter page that earned the sophomore guard MVP praises. Lewis had noticed a woman living in a car near the team's practice facility in Pittsburgh. “It started last Wednesday. I was walking back from practice, when I saw the lady after practice. Thursday I noticed her again. I saw her on Friday and I confirmed that she was living in her car,” Lewis told ABC News. After Duquesne's 71-60 loss to Davidson on Saturday, he grabbed some of the team's food and walked toward the woman. "First he scared the living daylight out of me. I was sleeping [and] he knocked on the window and I was like, 'Ah,'” Patricia Smith told ABC Pittsburgh affiliate WTAE. Patricia Smith said she was really touched by Lewis’ gesture. “He gave me a pizza and chicken wings. He said we're doing this for people. I'm like, 'Really?' Couldn't have asked for a better time," she added. Lewis decided to share his good deed on Twitter. 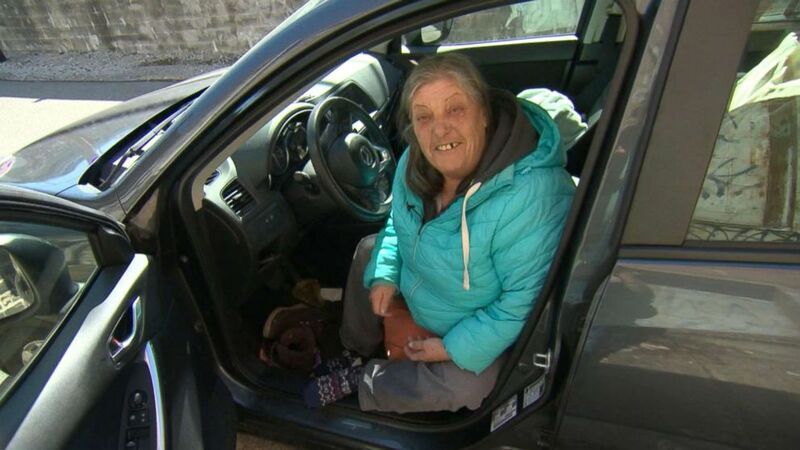 “Noticed a lady living in her car the past week and did what I could, don’t just walk past people if you can help do so,” he wrote. At first, Lewis was unsure whether to share the moment with his Twitter followers. “I was skeptical about posting on social media but I was trying to show positivity on social media to kids that follow me,” he explained. Smith said she stays at a nearby shelter, and was waiting for a Social Security check when she was surprised by Lewis. “It felt good, you know. Somebody remembers you,” she said. Lewis, a psychology major at Duquesne University, earned a spot on the Atlantic 10 All-Rookie Team in 2017. 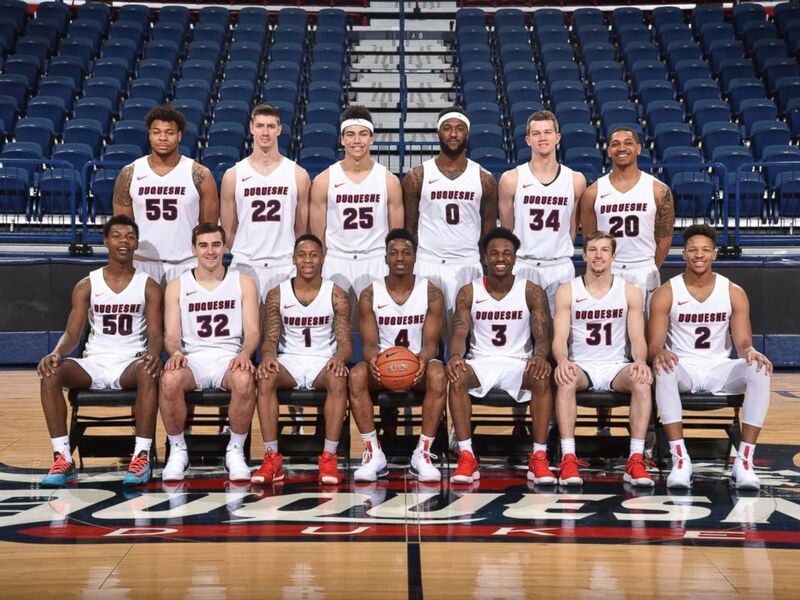 Duquesne University basketball player Mike Lewis II, seen in this team photo, was hailed for helping a homeless woman.